Blazer sport coats usually have a lining that also requires alteration. 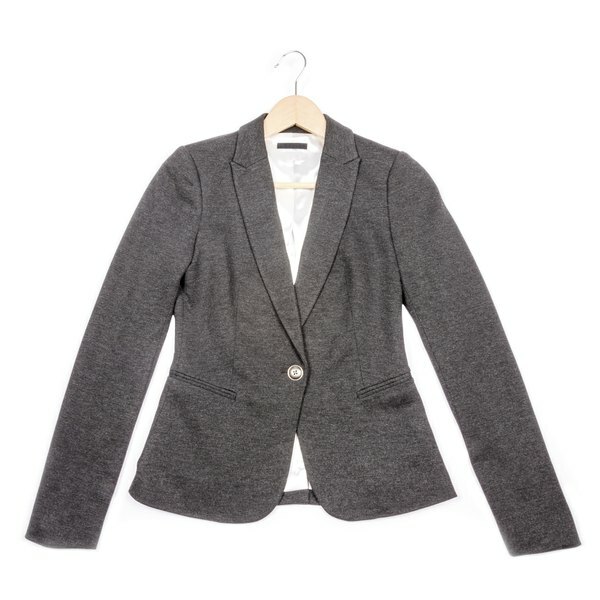 Tailoring the sleeves of a lined blazer sport-coat involves removing the existing sleeve hems, detaching the inner lining from the outer fabric, shortening the sleeve length, and then creating a new sleeve hem. Even sewers with basic skills can complete this project in about an hour or so. Gather the supplies needed for to create a new hem. Remove any decorative buttons from the wrist and sleeve of your coat, and turn the coat inside out. Carefully separate the lining from the outer material with the seam ripper. Insert the cutting mouth of the seam ripper so that they cut the threads. Remove threads and discard. Take note of how closely the lining comes to the edge of the sleeve of the outer material -- you’ll want to duplicate this measurement later. Put the coat on inside out, and use tailor's chalk to mark where you would like the sleeve and lining to end. If there is more than 2 inches of excess fabric, carefully use the scissors to remove all but 1 inch of excess fabric on both the sleeve and lining. You can also use a sewer's soft tape measure to measure and then mark the location the sleeve length. Fold the sleeve of the outer material over to your marked line while keeping the excess fabric folded in on the wrong side of the sleeve. Use an iron to press a permanent crease into the outer material. Place a clean dishtowel over your coat sleeve to protect the material before pressing. Next, measure and fold the sleeve lining over until it is the same distance from the edge of the outer material sleeve as it was previously -- if the original sleeve lining was sewn 1/4 inch from the sleeve edge, use that measurement here. Use an iron to press a crease into the lining material. As with the outer sleeve, place a clean dishtowel over the fabric before pressing. Verify that the lining overlaps the raw edge of the folded outer material. Pin the lining and outer material together. Thread the sewing needle and knot the thread with a thread color that matches the lining material. Use a slip stitch or blind stitch to sew the lining to the inner layer of the outer material. Do not sew into the outer layer of the fold or your stitches will be visible on the outside of the coat sleeve. If you removed any buttons from your coat sleeves, sew them back on now. Elya Lam is a professional writer and certified home economics teacher, who loves all things crafty! Based in Saskatchewan, Canada, she has developed curricula for the Saskatchewan 4-H Council.